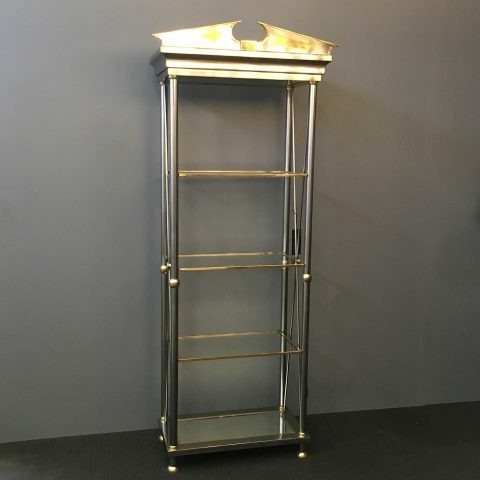 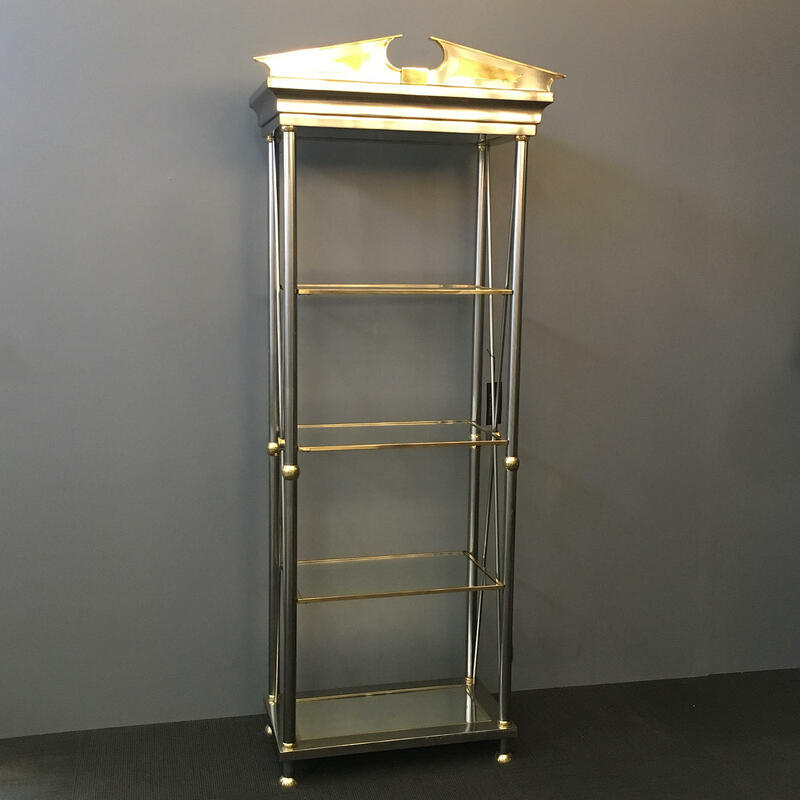 Very stylish in design this neo-classical etagere is in brass and nickle with x-framed sides and pediment top. 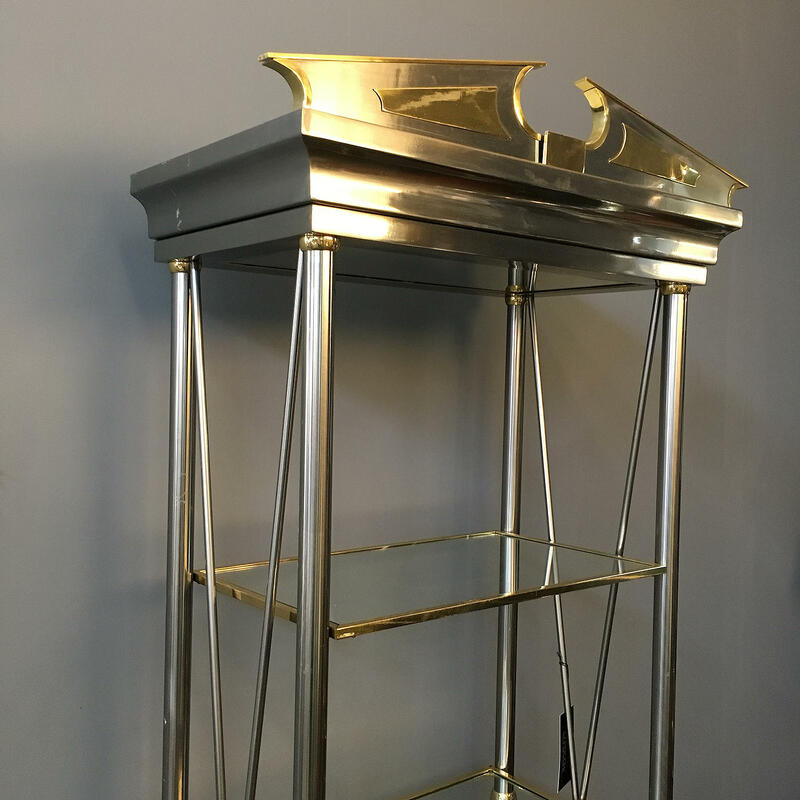 In the manner of Maison Jansen, this piece dates from the 1980s. 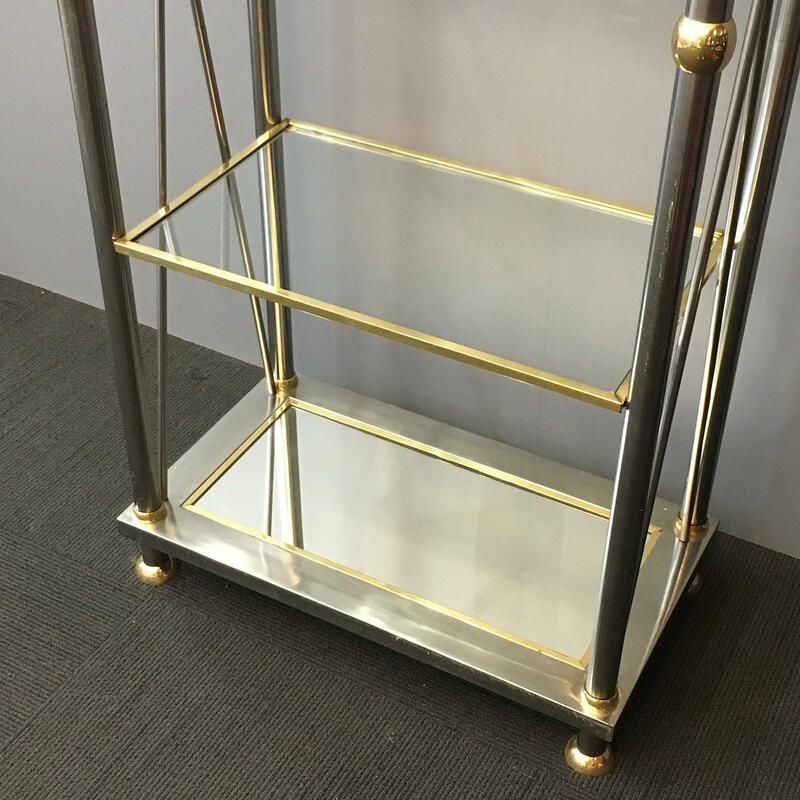 84cm Wide, 39cm Deep, 203cm High.